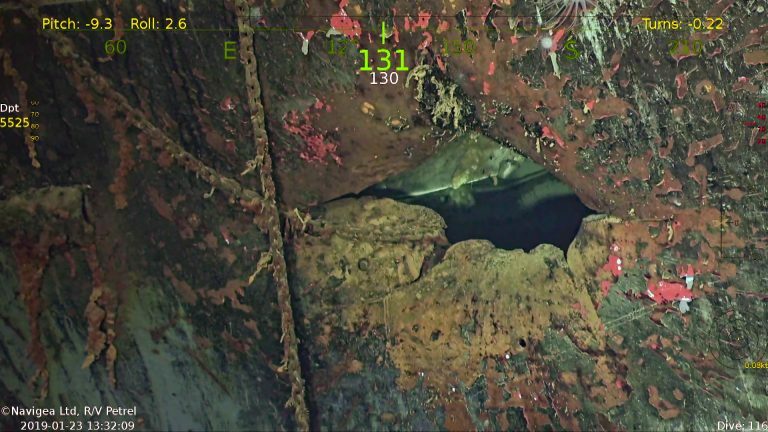 The R/V Petrel, the research vessel backed by the investment company of late entrepreneur Paul Allen, has discovered another famous World War II wreck, the carrier USS Hornet. 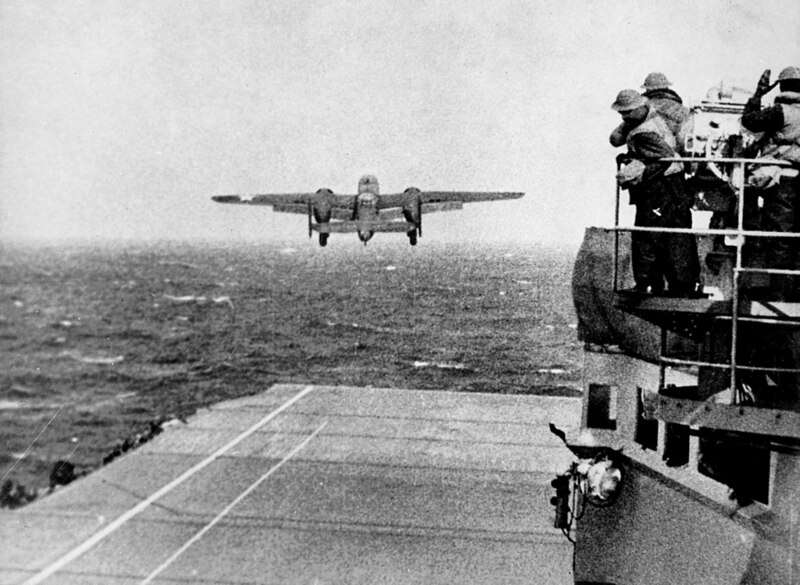 Hornet was the launch platform for the famed Doolittle Raid on Japan, the first American retaliatory strike in the wake of Pearl Harbor, and she was sunk by Japanese forces during the Solomon Islands campaign in 1942. Hornet was laid down in 1939 and delivered in October 1941, two months before the attack on Pearl Harbor. In February 1942, she took on several B-25 bombers for a test of the possibility of a long-range raid on the Japanese mainland. This top-secret mission received the green light, and in March, she took on 16 stripped-down B-25s and a specially-picked team of Army aviators. Under the command of Lt. Colonel James Doolittle, these aircrews would stage the first American bombing raid on the Japanese home islands, striking Tokyo, Yokohama, Yokosuka, Kobe, Nagoya and Osaka. 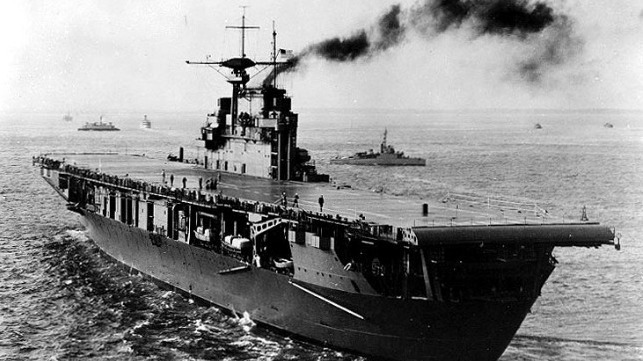 After the daring raid, Hornet was deployed for the Solomon Islands campaign, and in October she participated in the Battle of the Santa Cruz Islands, her final naval engagement. Her aircraft damaged the carrier Sh?kaku and the heavy cruiser Chikuma, but a heavy attack by Japanese dive bombers and torpedo planes took out her propulsion. An attempt to rescue her with a tow proved unsuccessful, and her men abandoned ship. After taking more fire from American forces (who were attempting to scuttle her) and from Japanese warships, USS Hornet finally went under. According the Petrel’s operator, the search team was able to locate the Hornet by putting together data from national and naval archives, including deck logs and action reports from other ships that were engaged in the battle. Hornet was not the only search target: positions and sightings from nine other U.S. warships in the area were plotted on a chart to generate the starting point for the search grid. 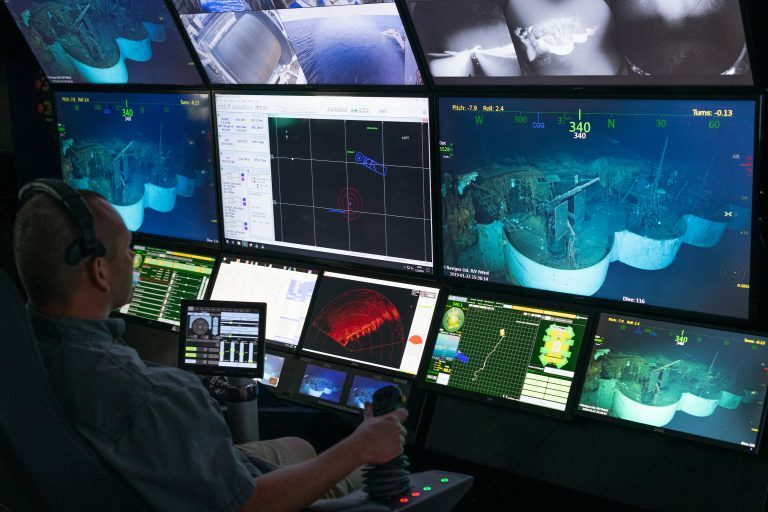 Hornet was discovered in 17,000 feet of water on the first dive mission of the Petrel’s autonomous underwater vehicle, and the find was confirmed by video footage from an ROV. 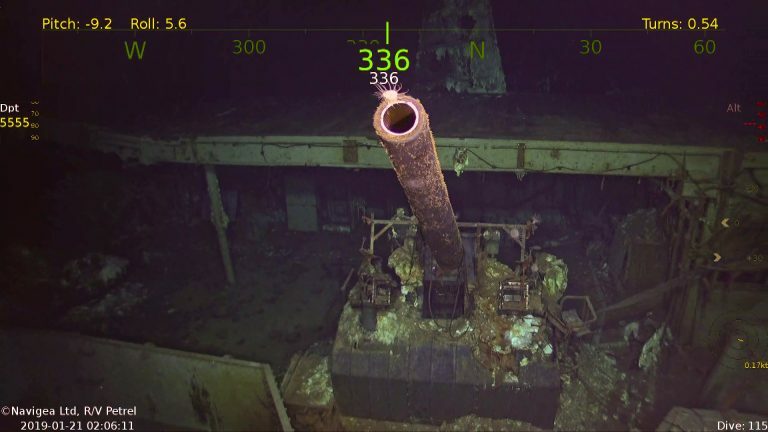 “We had the Hornet on our list of WWII warships that we wanted to locate because of its place in history as a [fleet] carrier that saw many pivotal moments in naval battles,” said Robert Kraft, director of subsea operations for Vulcan, Paul Allen’s investment group. 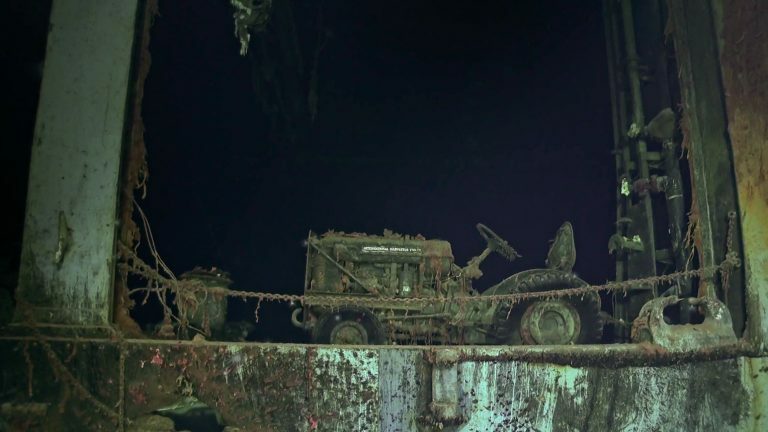 Expeditions backed by Vulcan have resulted in the discovery of multiple wrecks from World War II, including the USS Indianapolis, USS Ward, USS Astoria, USS Lexington, the Japanese battleship Musashi, the Italian destroyer Artigliere and – most recently – the battleship Hiei.